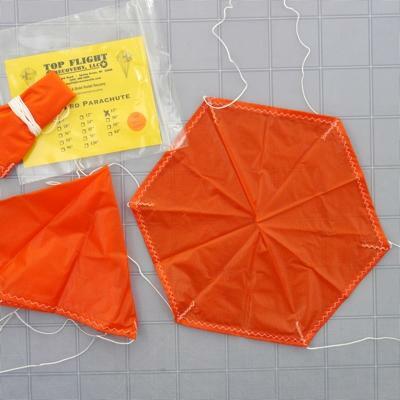 15" Thin-Mil Nylon Parachute made by Top Flight Recovery. Lighter weight nylon fabric, comes in bright orange material only. Comes assembled with shroud lines attached. Note: this is the same size as the original 15" from Top Flight which is actually closer to 16".